To reinstall the program you are first going to need to uninstall your current installation. Click the start orb and then click “Control Panel”. In the window that loads click “Programs” then “Programs and Features”. In the menu on the left click “View Installed Updates”. 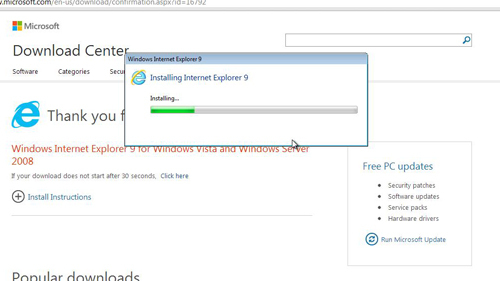 In the list that loads find “Windows Internet Explorer” and click it, then click the “Uninstall” button at the top. Click “Yes” in the dialog box that appears and then “Continue”. 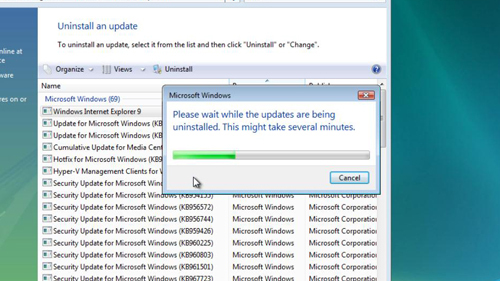 The uninstaller will run and you just need to wait for this to complete. You will need to restart your computer, click “Restart Now”. Once the computer has booted again you are going to need to install IE again. As we have uninstalled Internet Explorer, the chances are something was wrong with it. Therefore we will download a fresh install with an alternative browser – here we are using Google Chrome. Visit the website and click the red “Download” button. A file will download and you need to wait for that to complete. When the download has finished click on the file, then click “Continue” in the dialog box that appears. Click “Install” in the next dialog box that opens and the install will begin. You simply need to wait for this to complete. When this has finished you will be prompted to restart your machine, do this and wait for the computer to boot again. 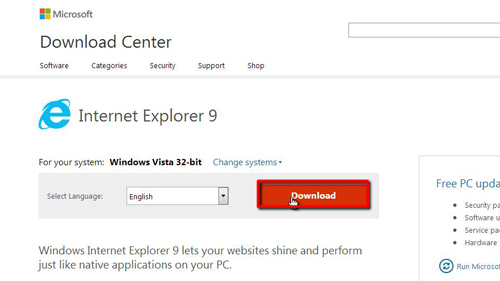 Once it has loaded you can open your newly installed Internet Explorer and that is how to reinstall Internet Explorer in Vista.